Snake River, largest tributary of the Columbia River. Click for more. The Columbia River Pastoral Letter provides an ethical framework for decisions about rivers. Click for more. Hells Canyon Dam. The three dams or “Hells Canyon Complex” blocked salmon on the Snake River. Tribes are working to restore passage for fish at these dams. Click for more. On March 14, religious and tribal leaders from the Snake River Basin and the larger Columbia Basin will lead a one-day conference on ethics and the future of the Columbia River and its major tributary, the Snake River. 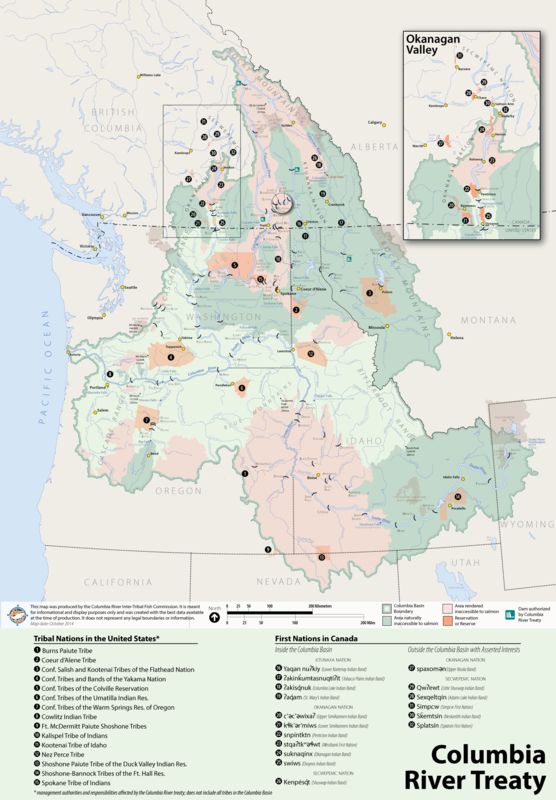 The conference is spurred by two events: re-negotiation of the U.S.-Canada Columbia River Treaty, and re-licensing of Idaho Power Company’s Hells Canyon Complex of dams. The benefits of Snake and Columbia River dams are well known. But their costs to native people, and the exclusion of native people from the decisions to build them, and from their governance since, are not so well known. 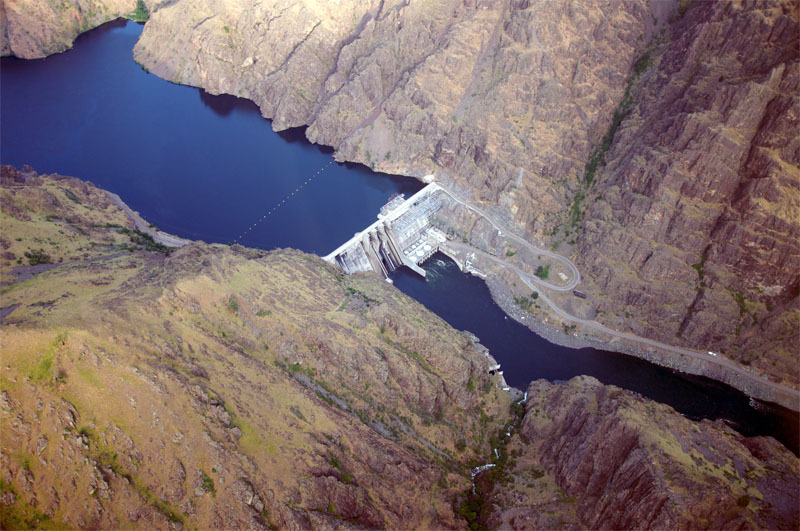 This conference will describe those costs, and generate respectful discussion of how to remedy them in both the Columbia River Treaty and a new license to operate the Hells Canyon dams. Columbia River map, showing areas accessible to salmon, blocked naturally by major waterfalls, and blocked by human interference primarily dams. Click on map for more. Speakers will explore ethical frameworks for these decisions that embrace indigenous people, salmon and the waters of the Columbia and Snake rivers. Native people impacted directly by dam-building throughout the Columbia Basin will describe past and present effects on their people and cultures, and native and religious leaders will describe opportunities to modernize river management that promote justice for all people and the health of the river, and that respond to climate change. Returning salmon to the Owyhee River, 2015. 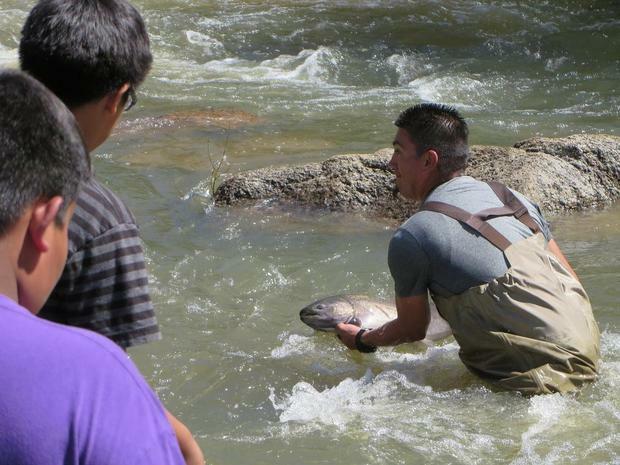 For the first time since 1928, salmon swam in the Owyhee River on the Duck Valley Reservation of the Shoshone-Paiute Tribes, and tribal members fished for them – some using traditional wooden fishing spears. Click for more. 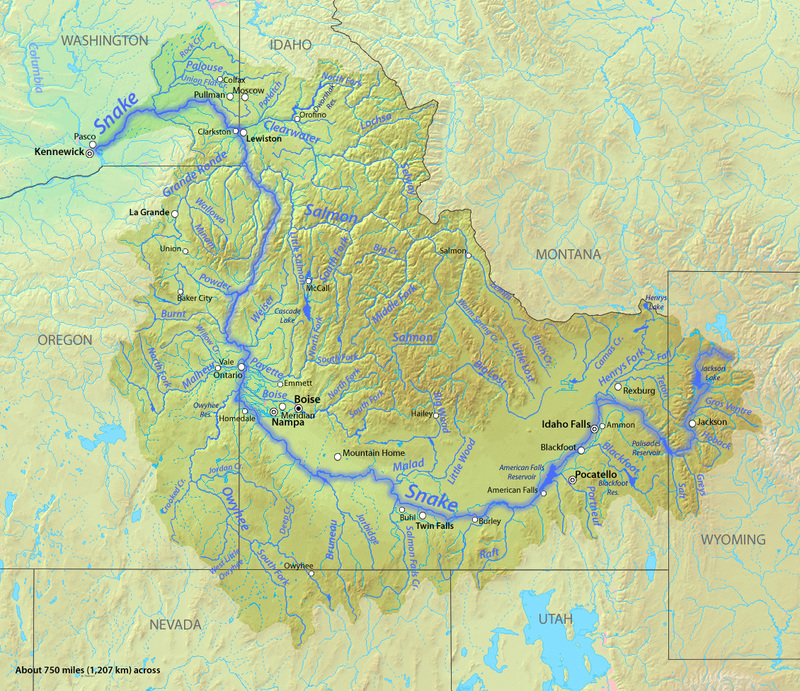 This is the third in a conference series titled “One River, Ethics Matter,” to explore the moral dimensions of the dam-building era, with a focus on Indian tribes and First Nations, and the rivers themselves. 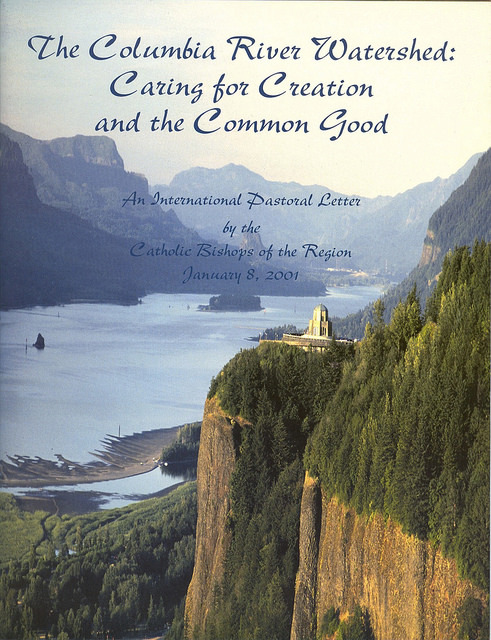 The Columbia River Pastoral Letter, issued in 2001 by the Roman Catholic bishops of the international watershed, provides a foundation and framework for the conference series. This series is modeled on South Africa’s Truth and Reconciliation healing process and public dialogue in the wake of apartheid.